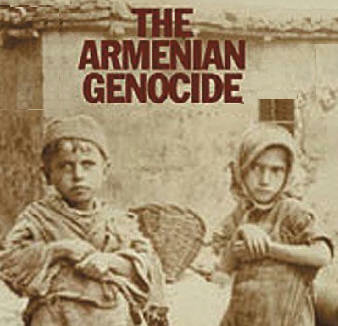 The Armenian Genocide is a documentary exploring the circumstances surrounding the mass-killing of more than one million Armenians by the Ottoman Empire during World War I. The documentary was broadcast by most 348 PBS affiliate stations on April 17, 2006. Because of the high controversy of the subject, particularly with Turkey, PBS attempted to give both sides a voice and produced a four expert panel discussion to be aired immediately afterwords. However, due to an intense lobbying effort by Armenian groups and some members of Congress, the follow-up panel discussion was cancelled on a third of those stations broadcasting the documentary over concerns of offending people who assert a genocide took place. Produced in conjunction with Oregon Public Broadcasting, it was written and directed by Andrew Goldberg (who also directed The Armenians: A Story of Survival) and narrated by Hollywood celebrities Orlando Bloom, Ed Harris, Laura Linney, Julianna Margulies and Natalie Portman.